The Lake branch of the Green Line began life as the elevated line of the Lake Street Elevated Railway Company, chartered on February 7, 1888. The company's chief sponsor was not one of its official incorporators: Michael Cassius McDonald. "King Mike", as he was known, controlled much of the city's gambling and vice operations and probably expected to make some quick money from the elevated on watered stock and speculated securities. 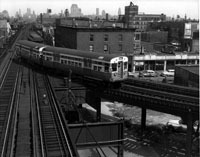 The company's 25-year franchise allowed the company to build an elevated line from Canal Street to 40th Avenue. The area east of Canal was omitted due to severe opposition from downtown property owners. By late 1893, enough of the structure was completed to begin limited operations. During the week of October 15th, the company began breaking in the locomotives. A dedication was held on November 4, 1893, attended by more than 1,000 guests. Regular passenger service on the Lake Street "L" began on November 6, 1893 between Madison & Market and California station (2800W). Over 50,000 passengers rode on the first day. Operations were extended west as stations and the rest of the elevated structure was completed. 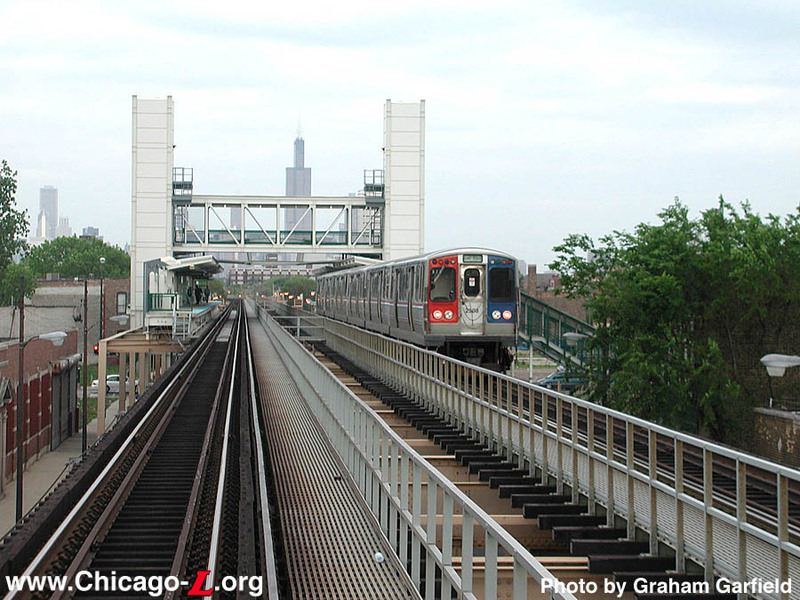 On November 24th, service was extended to Homan Avenue. By January 1894, trains were operating to Hamlin stations, another stop west, and ridership was averaging 30,000 a day. In March 1894, service was extended to 48th (Cicero) Avenue, followed by completion to 52nd Avenue on April 29th. Charles Tyson Yerkes, a traction baron with a questionable reputation who owned most of the streetcar lines on the west side of Chicago, decided to take over the Lake Street elevated in 1894, theorizing that with the Chicago West Division Railway Company and the Lake Street Elevated Railroad Company under his control, he could successfully minimize the negative effects of the competing Metropolitan Elevated. Yerkes immediately infused some badly needed capital into the cash-poor company, which had a heavy debt and was financially troubled. The history of the Lake Street Elevated's extension westward from 52nd Avenue to Oak Park is long and complicated. 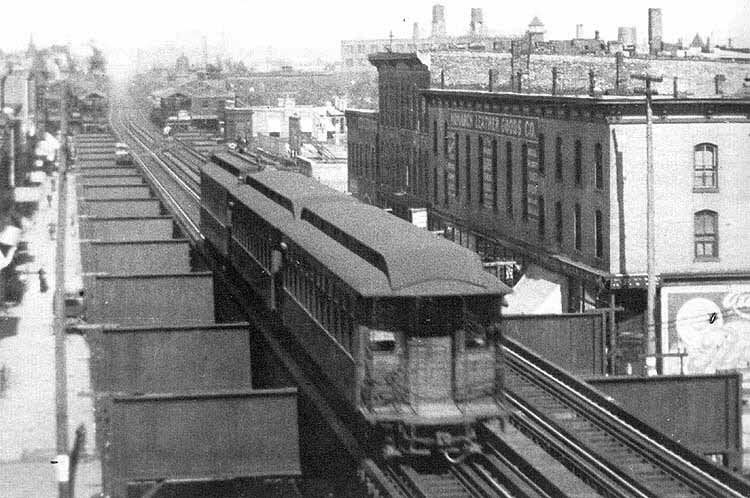 The elevated line first requested a franchise in December 1893 to extend their line west from the 52nd Avenue terminal to 72nd (Harlem) Avenue at the west border of the township, but negotiations between Cicero Township's citizens and the railroad fell apart. By 1898, another set of negotiations to extend the Lake Street Elevated into Cicero Township, now between the Cicero trustees and C.T. Yerkes, had been completed. 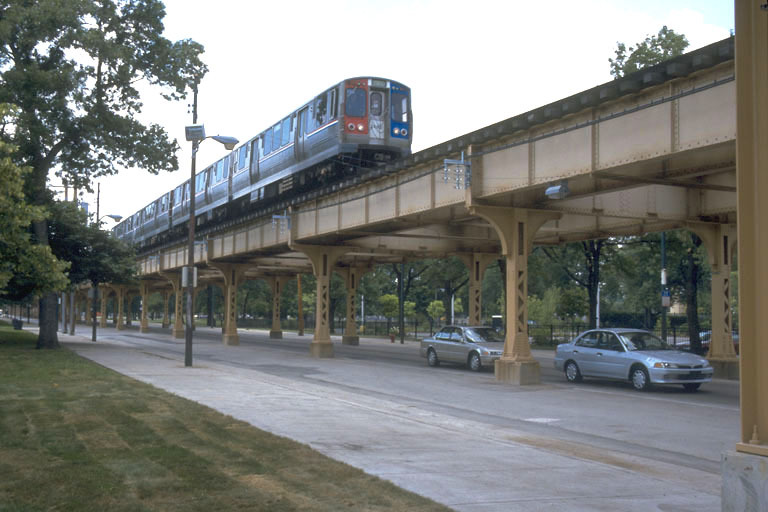 The franchise allowed for the construction of several lines and branches, including an extension straight west along South Boulevard (where the Lake branch of the Green Line currently runs in suburban Oak Park), a two-block extension south in Lombard Avenue to connect to the Suburban Railroad's Randolph Street line, and a branch south from the Randolph Street line in Cuyler Avenue to Harrison to link with another Suburban Railroad line in 64th (Ridgeland Avenue) to reach 22nd Street. In spite of having found a way to get out of building the South Boulevard extension, Yerkes decided in the summer of 1900 to not allow his option to build there to lapse and prepare plans for the new service. In late January 1901, the trains of the Lake Street Elevated were extended west to Wisconsin (Marion) Avenue and South Boulevard via the new extension. 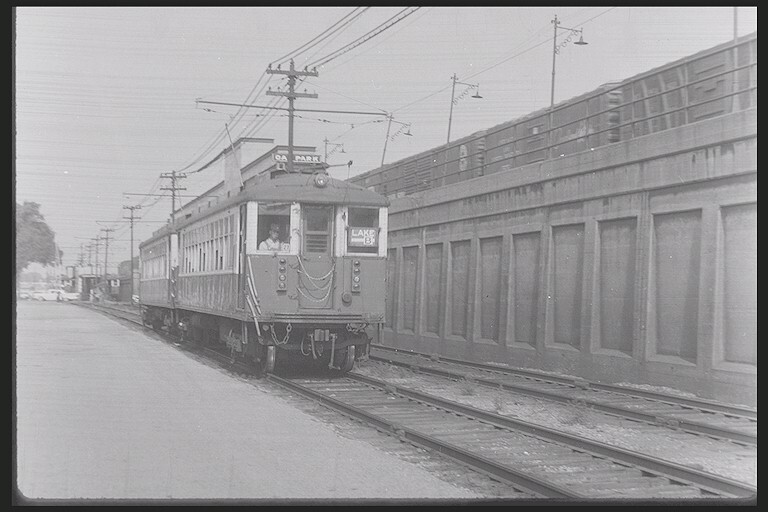 At the same time, operations via the Randolph Street tracks of the Suburban Railroad were discontinued. "L" service there had lasted less than two years. The Lake Street service was now in its final and current alignment from downtown Chicago to downtown Oak Park. 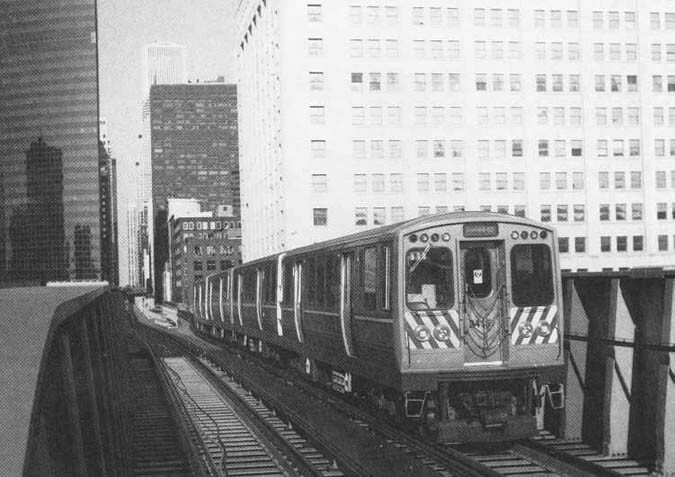 When the CTA took over in 1947, the "L" was a tangled series of complex schedules involving multiple express and local services, often running over the same tracks and getting in each others' way. In spite of a line that would seem to have a good mix of locals and expresses, the CTA described the Lake Street Line as a "conglomeration moving at a slow speed." The Lake Street was the first line to receive the CTA's new A/B skip-stop scheme on April 5, 1948 because it was considered the most dire case on the rapid transit system. Stations were designated "A" stops, "B" stops, or "AB" stops, while trains were designated "A" trains, "B" trains, and "All-Stop" trains, with each stopping only at their respective stations. The "A" and "B" stops were alternated and mixed in with the "AB" stops (although the entire western end of the line beyond Pulaski were "AB" stations). 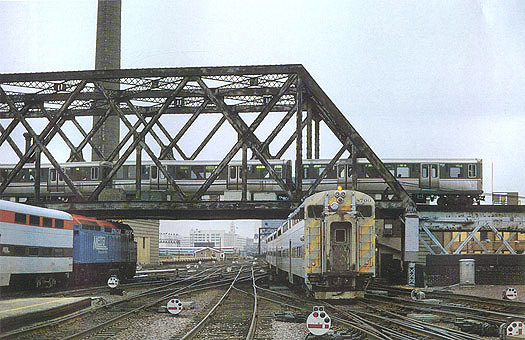 Ten stations were closed (Lombard, Menard, Kostner, Sacramento, Campbell, Oakley, Damen, Ashland, Racine, and Morgan), the Market Stub Terminal was closed and all trains were routed onto the Loop, and the center express track was taken out of revenue service, used only for car storage. Running time was cut from 35 minutes (for locals) to 24 minutes. 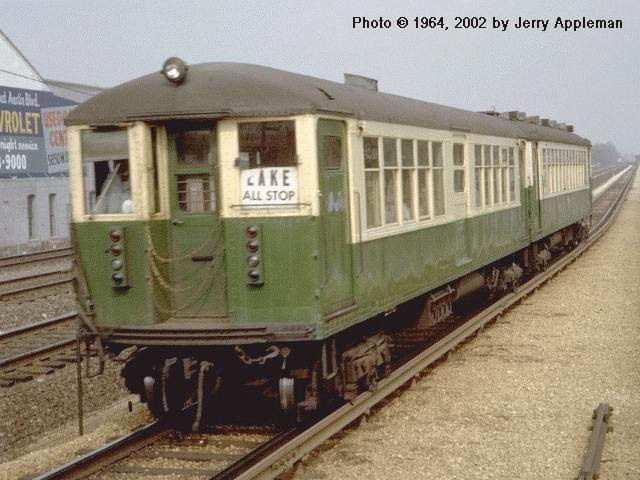 The A/B system was spread to other lines after the Lake Street experiment was deemed a success. 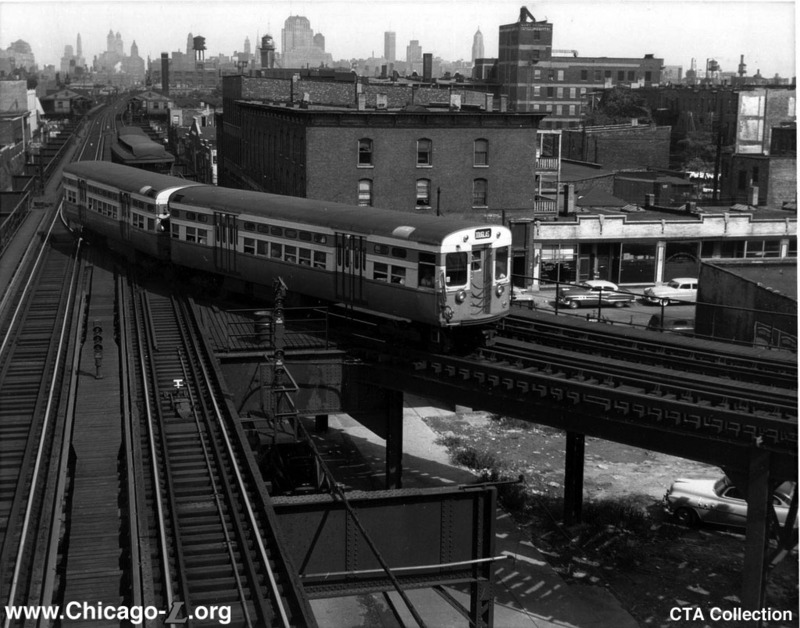 Relocation of 2-1/2 miles of the Authority's Lake Street Rapid Transit tracks from street-grade to the adjacent elevated right-of-way of the Chicago and North Western Railroad was completed and placed in operation October 28, 1962. This project eliminated 22 grade crossings, cleared the way for safer and improved street traffic, and resulted in better and faster transit service. One new track was laid on the elevated roadbed and two other tracks were realigned, water mains were relocated, electrical, signal and communication facilities, and other fixed transportation equipment and facilities were installed, and five new stations were constructed. Island-type platforms at each of the stations are long enough to accommodate eight-car trains, each station is identified by a distinctive color, and three of the stations -- Central, Austin and Oak Park -- are equipped with reversible, dual-operation escalators External waifs are of ceramic glazed brick in the color code for the respective station This color is repeated in porcelain enamel panels of each station front, in the glazed ceramic tile of interior walls, in agents' booth, and in the metal platform canopies which extend over the roofs of cars at train stops to protect boarding and alighting passengers from rain, sleet and snow. Large picture windows enhance a light and bright interior Passenger control facilities include agent-controlled, illuminated fare indicator turnstiles, coin-operated turnstiles, and electrically-operated, remotely-controlled exit turnstiles. Electric signs over the entrance of each station were to identify the station and display the travel time between the station and Chicago's Loop, but these were never installed. This $4,000,000 improvement established a precedent and a pattern for public agency cooperation in mass transportation projects in the future when widespread public benefits, including improvement in street traffic flow, may be obtained. 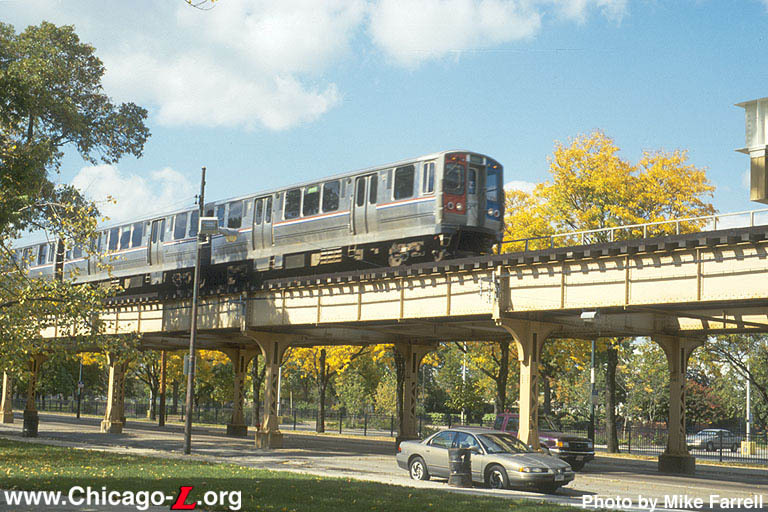 The cost was shared as follows: The US Bureau of Public Roads and the State of Illinois, $1,000,000; County of Cook, $1,000,000; Oak Park, $800,000; the City of Chicago and the CTA, $600,000 each. The Bureau of Public Roads' share was specifically limited to the street crossing and its approaches at Harlem Avenue, an arterial highway. 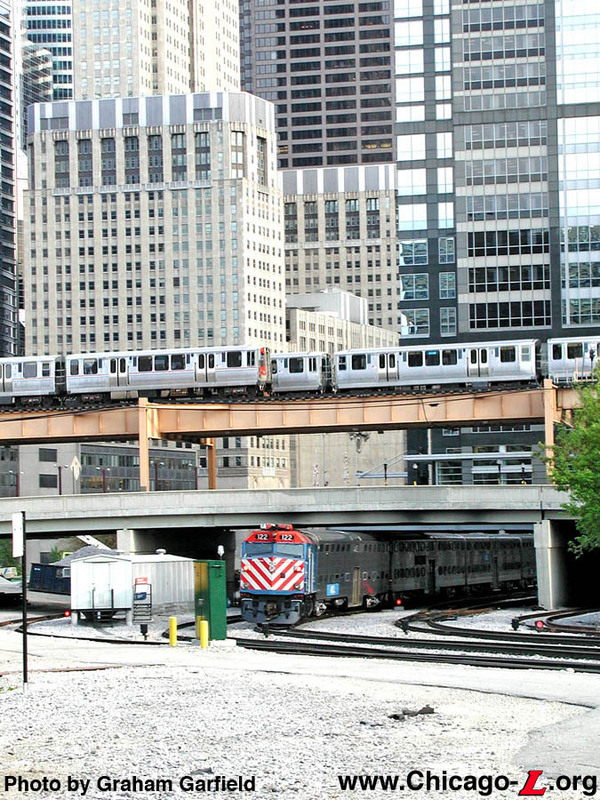 On December 9, 2015, the Chicago Transit Board approved a $13 million contract for the Green Line West Track Renewal Project, a track improvement project on the Lake branch of the Green Line. The Green Line West Track Renewal Project upgraded track infrastructure between the Laramie and Harlem/Lake stations to provide Green Line riders smoother and more reliable commutes and prevent imminent slow zones from developing as infrastructure ages. 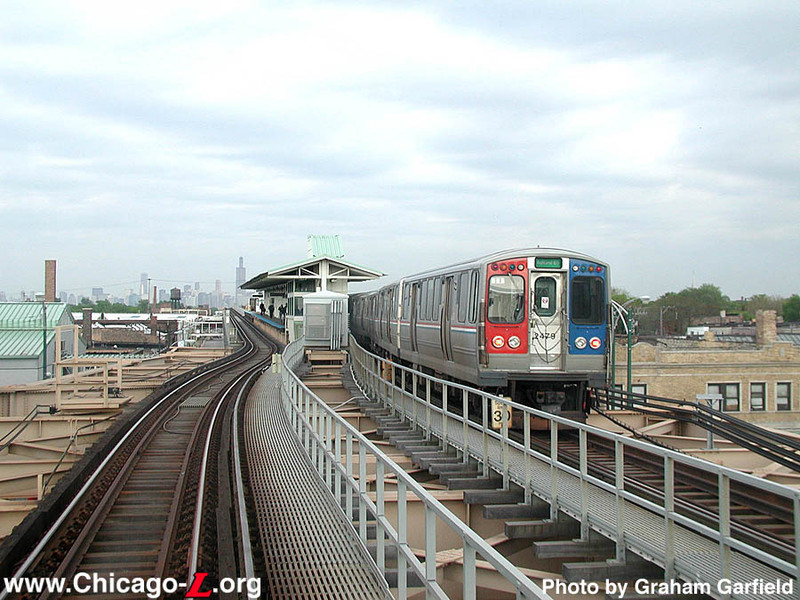 The project was one of several track renewal initiatives the CTA undertook beginning in 2013 and in the years following to provide smoother and more reliable commutes for train riders across the city, including a $20 million track modernization investment on the south Green Line that was completed in 2013 ahead of the full reconstruction of the Dan Ryan branch of the Red Line, as well as a track renewal of the Ravenswood-Loop Connector portion of Brown and Purple lines between Armitage and the Mart. The construction scope for the $27.5 million track renewal project included new tie plates and fasteners, transposing of running rails at select curves, other related rail work, and ballast replacement and surfacing work. Work occurred on weekends and during nights while trains were not in operation. CTA officials said the project "is a proactive effort to avoid the development of future slow zones in the area." The most recent major track renewal along this stretch of the Green Line occurred in the 1980s; at the time of the project, more than 75 percent of the rail ties were approaching or had exceeded their useful life, officials said. The construction contact for the Green Line West Track Renewal Project was awarded to Kiewit Infrastructure Co., which submitted the lowest bid for the project. Construction began in late March 2016. The work was performed by instituting "linecuts" at the end of the Green Line -- truncating rail service and substituting bus shuttles to give the contractor free access to the tracks and right-of-way. Over the course of seven weekends, Green Line trains terminated at Laramie, operating between there and the two 63rd Street terminals, and did not serve the Central, Austin, Ridgeland, Oak Park or Harlem/Lake stations. CTA operated free shuttle buses that served the affected stations. The first linecut took place over the weekend of April 1-4, 2016, from 10pm Friday to 4am Monday. The next linecut was April 15-18, with the remaining work to be completed over the five following consecutive weekends through May 20-23.